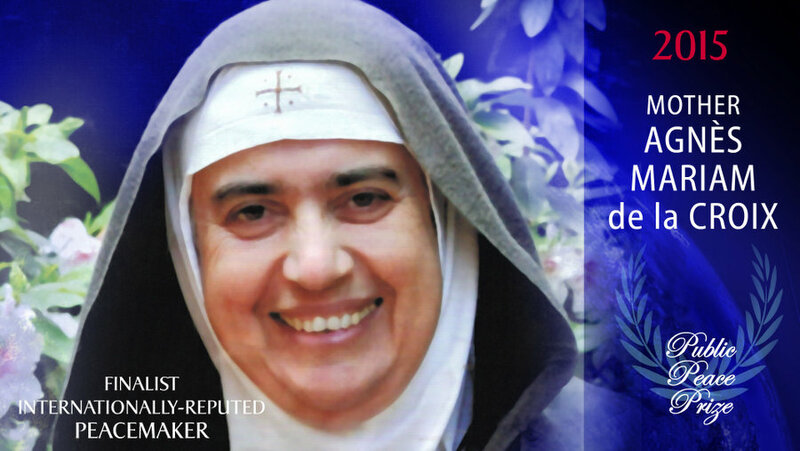 A Melkite nun born in Lebanon and now residing in Syria, Mother Agnès-Mariam is one of the principle spoke-persons for the Mussalaha peace and reconciliation initiative. She has worked tirelessly to bring opposing forces together through dialogue at the community level and by negotiating ceasefires, often at great personal risk. She has undertaken an international speaking tour advocating a solution negotiated by the people of Syria themselves. Established in January 2012, Mussalaha is an initiative which unites members of all Syrian ethnic and religious communities. In a spirit of non-violence, they are committed to do everything possible to bring an end to the war without siding with any of the warring parties. Their resolve is constantly put to the test as different regions of the war-ravaged country pass from one dominant force to another. Let there be peace and mutual tolerance among the people. A courageous advocate for peace. You bring light and hope and wisdom to the people.